A non-flammable, synthetic rubber emulsion which is a safer alternative to traditional gum spirits. It has a greater level of initial grab and moisture resistance than lignin paste. 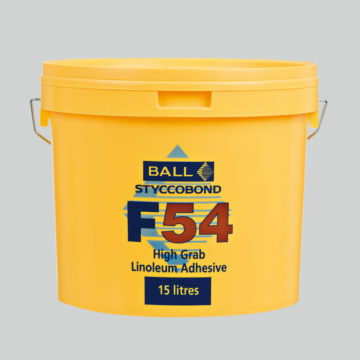 Protected against biodegradation and suitable for use over underfloor heating installations.